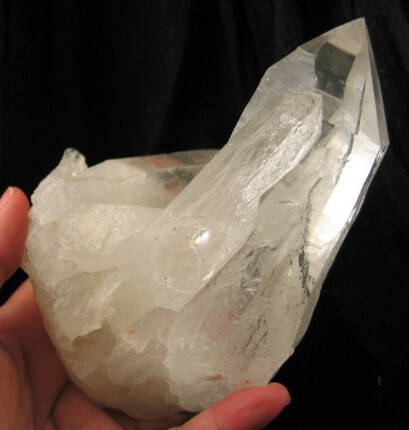 This is a very beautiful cathedral quartz cluster. The foramtions are quite beautiful and the interior clarity of the main point is just lovely. There are thin needles of black tourmaline that help to balance the high vibrational energy of this group. It is perfect for mediation or reiki circles. It also would make a stunning alter piece. Black tourmaline in quartz is a powerful combination. They naturally compliment each other’s abilities. This combination is awesome for clearing one’s energy field of negative energies, like giving your aura a bath. Furthermore it protects one from picking up more negative energies. The black tourmaline also assists the quartz to not accumulate negative energy too. 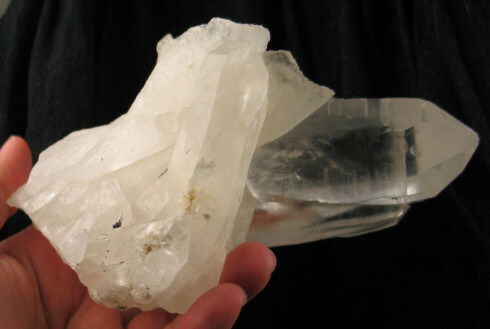 Tourmalinated quartz assists in clear thinking and is a powerful assistant in helping you stay on track. Tourmaline included Quartz is very strengthening for the skeletal system, particularly as an elixir. This combo is a powerful protection against psychic attack. It reflects negativity back to the source. 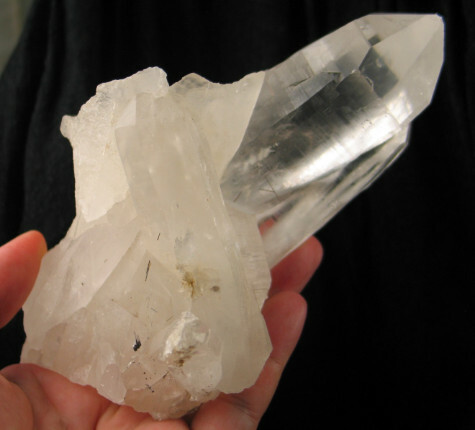 Tourmaline included quartz amplifies your psychic abilities. 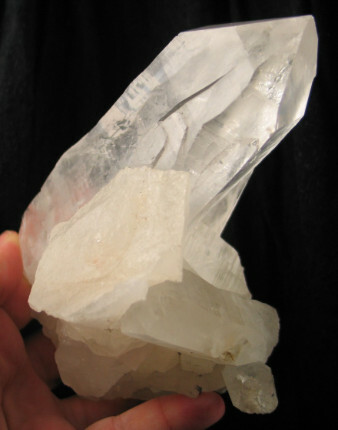 It is a great anti-radiation crystal; wear one on the body to repeal radiation from computers. 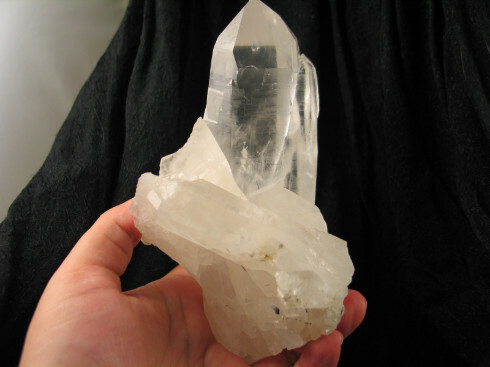 The Quartz crystal amplifies the properties of tourmaline. Use it to charge your electromagnetic body by keeping it in your presence for a time. 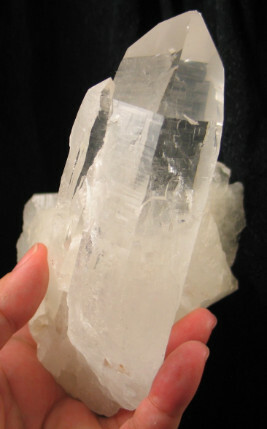 Tourmaline included Quartz regenerates and orders the cellular system. It helps one to sleep, all the while charging the body so one awakes refreshed and rearing to go. 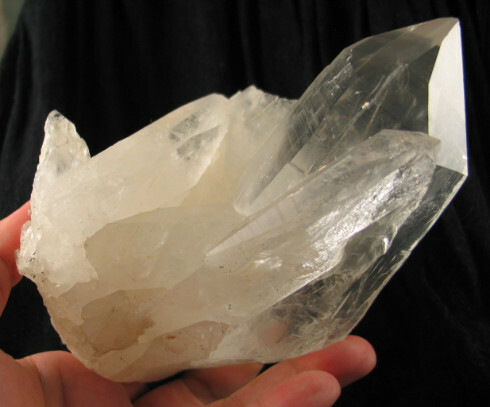 Cathedral quartz is a beautiful quartz formation that is often confused with the geode formations, such as amethyst. 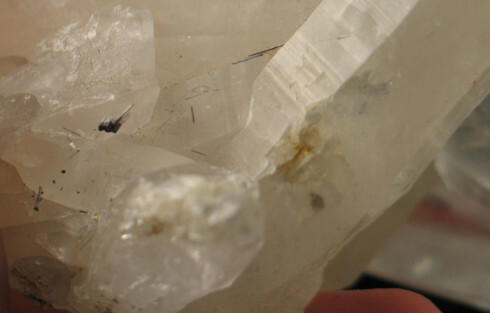 Cathedral quartz often forms lesser points that frequently resemble turrets of medieval castles. Frequently they are highly etched and many have record keepers as well as trigonic record keepers. 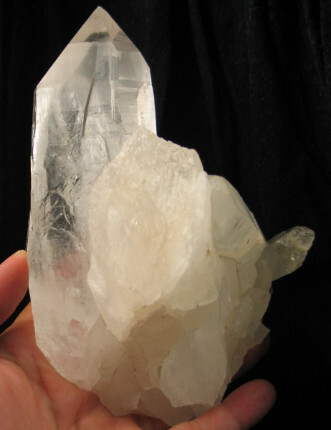 Cathedral quartz is associated with the higher realms and is a high vibrational crystal. They store an amazing amount of information. They work with you to open your higher consciousness. They keep one moving forward along their path, helping to prevent stagnation and regression. 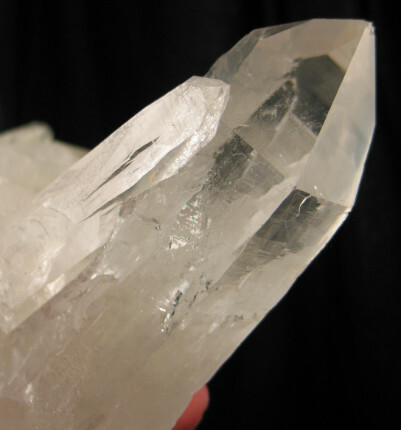 These crystals have gentle energy which is often very powerful. Their soothing energy makes them beautiful additions to meditation and healing work. 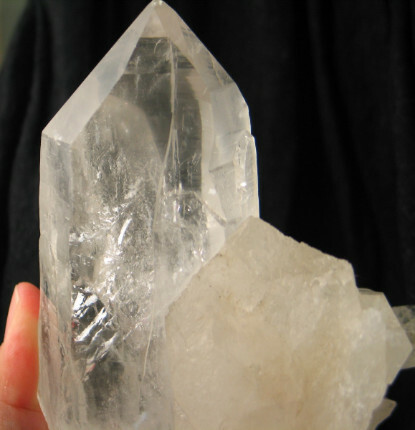 Cathedral quartz crystals are master healers and will work on all levels and chakras. They are also excellent assistants in group work such as meditations or healing rooms. 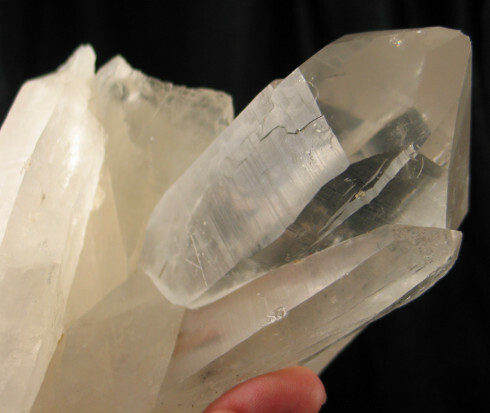 These crystals have doorways in them, more often than not, in their castling definition. To travel into the crystal, just gaze into the doorway, you will see it open and your consciousness will be drawn into the crystal. From there you can travel into different chambers and receive information that you are ready for at that time. 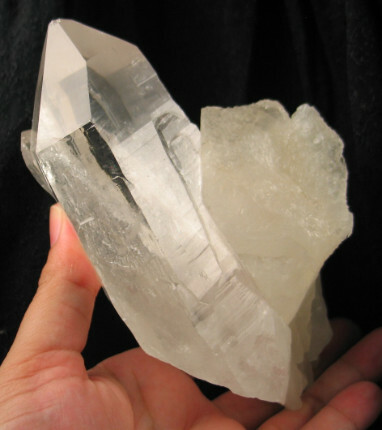 You can also travel in inner and outer space in complete safety within the crystal. Clear Cathedrals are referred to as Lightbrary Cathedrals. Lightbraries are said to house the Libraries of Light! Citrine lightbrary cathedrals bring a rich healing energy that truly excel when working on the physical and spiritual bodies. For healers they help to bolster confidence in your work and to trust your intuition and abilities.